Ideas Roadshow produces hundreds of unique videos from the research front lines that are specially curated in separate databases for high schools, universities, public libraries and the general public. 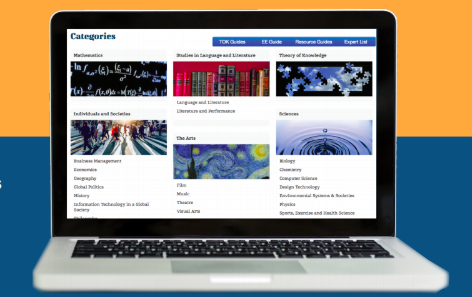 We've recently launched our new IBDP Portal of over 500 innovative resources tailor-made for the International Baccalaureate's Diploma Programme. Go here to see how you can dramatically enhance your IBDP teacher and student experience! We're delighted to announce that Ideas Roadshow was the recipient of The Educational Learning Resources Award at the London Book Fair International Excellence Awards 2018. The judges specifically expressed their enthusiasm for how Ideas Roadshow has made top-level research concepts accessible to a variety of audiences: high school students, university students and members of the general public. Award-winning primatologist and bestselling author Frans de Waal (Emory) describes how neuroscience has shed light on the science of animal emotions. Cambridge intellectual historian Stefan Collini tangibly demonstrates his critical thinking skills in examining the role of universities in contemporary society.